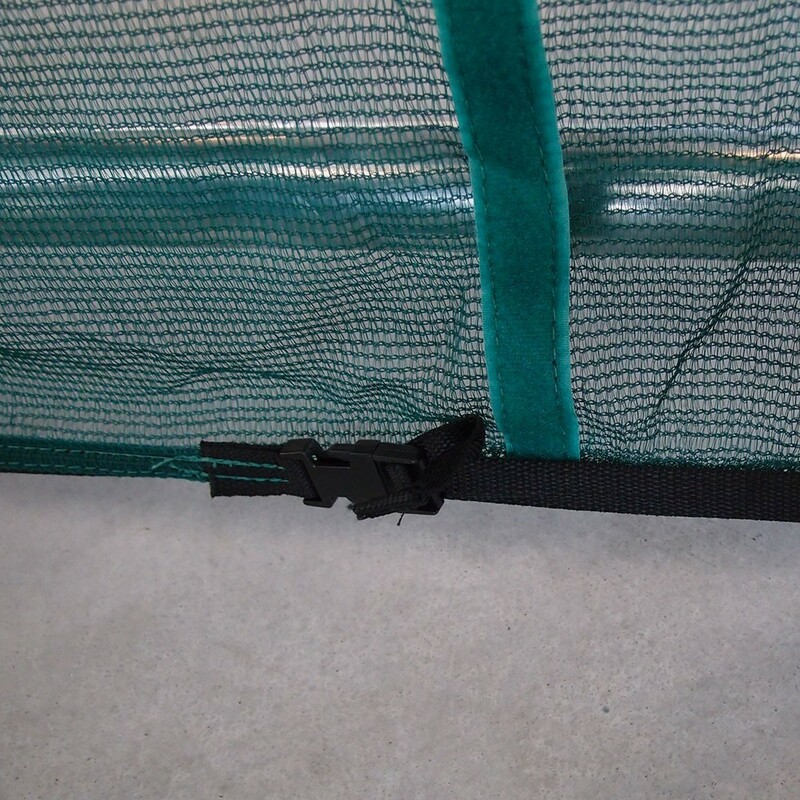 Skirt to secure your 2.5 m trampoline with storage pockets. The safety skirt prevents children from going under the trampoline. It plays an essential role in making your trampoline safe. It stops children and pets from slipping under the jumping pad and injuring themselves when someone is using it. Jumping pads are very flexible and can get very close to the ground when they are in use: the safety skirt can help protect this danger area. 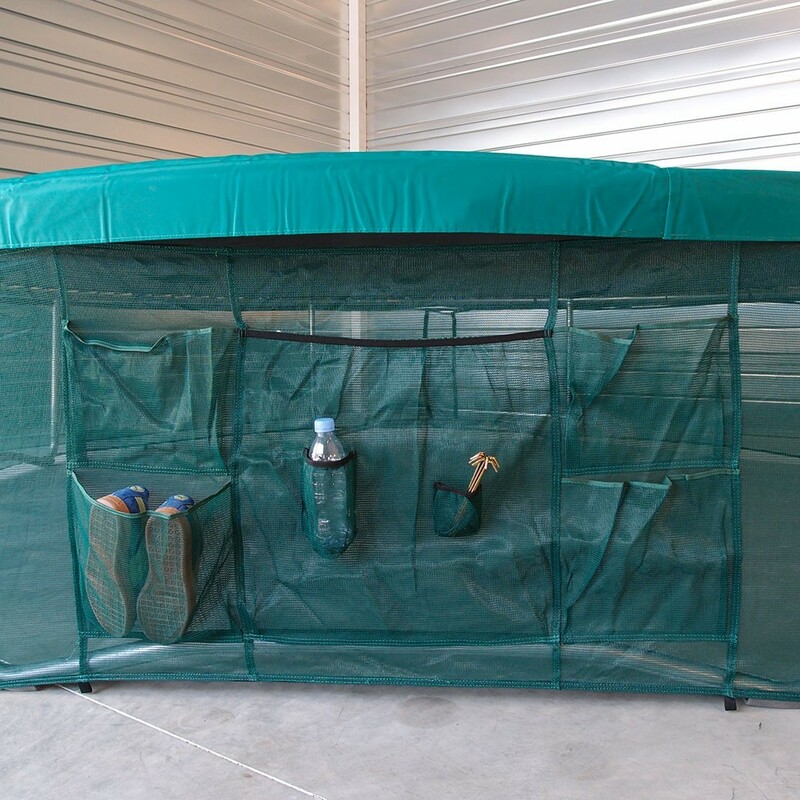 - The netting is very fine, therefore the skirt protects the trampoline and also allows you to see through it. You can then check to make sure that nobody is under the trampoline before using it. 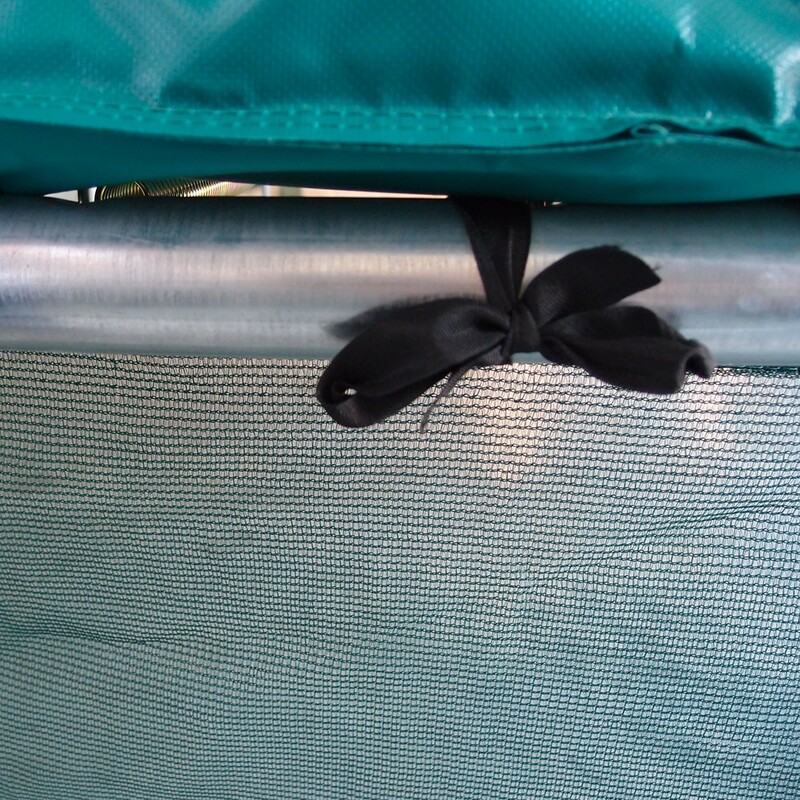 - As well as making the trampoline safe to use, the safety skirt has storage sewn to it. It is a very functional accessory which will allow you to make sure nothing falls out of your pockets when you are jumping on the trampoline. - The skirt is green which allows it to blend perfectly into the garden. - It can easily be fixed to the framework of your trampoline. Metal pegs ensure it is firmly fixed to the ground and increase its stability. It can quickly be mounted onto a trampoline just before you install the enclosure. Adapted to trampolines of 2.5 m in diameter. difficultés à placer la jupe, dispositif très très tendu et il reste un trou qui permet de passer sous le trampoline.